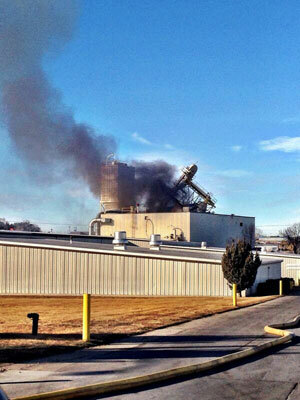 Omaha Police took this photo of the plant where the explosion happened. 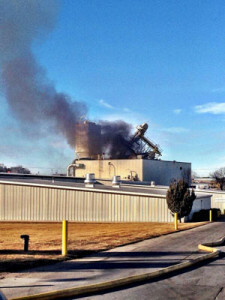 There are fatalities after an accident this morning at an Omaha animal feed processing plant. Interim Omaha Fire Chief Bernie Kanger says 38 employees were inside the International Nutrition plant at the time. Kanger said the cause of the accident, which occurred around 10 a.m., is unknown. “What we do know is this was an industrial accident that resulted in structural collapse and fire,” Kanger said. “We do not know if there was an explosion. That will be part of the cause investigation.” International Nutrition, located in south-central Omaha, produces prepared feed and feed ingredients for livestock.